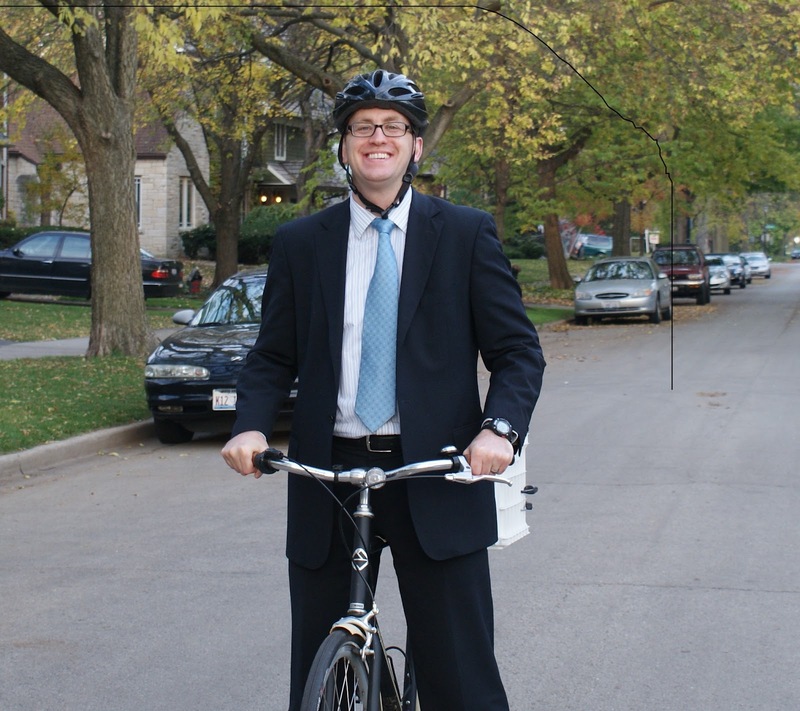 Chicago Bicycle Accident Lawyer | Illinois Bicycle Lawyers at Keating Law Offices: How (and Why) Mike Keating Became a "Bike Lawyer"
How (and Why) Mike Keating Became a "Bike Lawyer"
I'm often asked how I became a trial lawyer that represents people injured in bicycle accidents. My answer is that I was obsessed with bikes long before I was ever a lawyer. Bikes have been a constant in my entire life and that just continued into my career as a trial lawyer. To this day I still ride one of my bikes almost every day. The picture to the left is me on my commuter bike that I ride to the Metra train in Evanston every work day. When I started my career as a trial lawyer I noticed a trend of clients who were injured in bicycle accidents that other attorneys didn't want to handle. These other attorneys didn't want the cases for the same reason a lot of people are unfortunately prejudiced against bicycles; they didn't think cars should share the road with bikes. However, I had two advantages as a trial lawyer that these other lawyers didn't have. The first advantage was I had ridden all my life and still rode. I rode to class throughout law school at DePaul and typically rode to work in the Loop. I knew first hand what it was like to ride in Chicago. I knew the feeling and sensation of riding in rush hour when all your senses are alert. I understood the "flow" of traffic. And I knew the adrenaline rush that surges when an accident seems imminent. These experiences gave me valuable insight into the cases for my clients who were injured in a bike accident. The second advantage was when I started as a trial lawyer I had just finished working in Springfield as the Assistant Counsel to the Illinois House of Representatives. During this time I learned the inner workings of the legislative process and had a chance to delve into all of the Illinois statutes regarding bikes. And I mean ALL of them. I would personally call about any bill that I thought was good for Illinois' burgeoning pro-bicycle agenda. 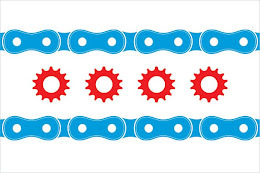 Those days were long and the nights were longer, but it was there I learned how a clear, reasonable message could gain traction and even the smallest changes to transportation law could lead to big changes for bicyclists in Illinois. Soon thereafter I began working as a trial attorney at a prestigious personal injury firm in Chicago. This is when I had the chance to put what I knew from riding my entire life and my stint in Springfield to work. Armed with a unique combination of an intricate knowledge of transportation law and policy and the chance to work as a trial attorney I truly was able to "fight" for my clients. By then I also had the experience to volunteer my services as a pro bono lobbyist for bicycle advocacy groups in Illinois. 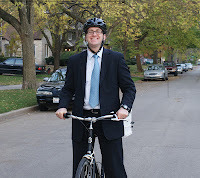 Not long after I started practicing as a trial lawyer, word spread that I was a "go to" guy for bike accident cases. Soon after that I launched www.IllinoisBicycleLaw.com. It has been a sincere privilege and an honor to have seen the influence of this blog grow and to have a positive impact on people's lives. The best part of it all is that I am more engaged and passionate than ever about bikes and bicycling advocacy. 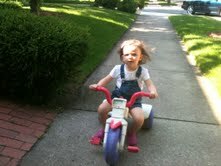 And now that I've seen that my two-year old daughter (pictured above) has her "Dada's" love of wheels and motion in her D.N.A., I'm reminded that my work trying to make Illinois safer for bikes is well worth it. The Illinois Bicycle Lawyers at Keating Law Offices are a leading firm of trial lawyers that devote a significant portion of their practice to representing victims of bicycle accidents. Attorney Michael Keating was recently named to Chicago and SuperLawyers magazines list of "Rising Stars" and was named by the National Trial Lawyers Association as one of the top young lawyers in all of Illinois. He is also a member of the Illinois Trial Lawyers legislative committee. If you have any questions regarding this post, please contact the Illinois Bicycle Attorneys at 312-208-7702 or MKeating@KeatingLegal.com 24 hours a day, 7 days a week. All e-mails and phone calls are returned promptly. All initial legal consultations are confidential and free.